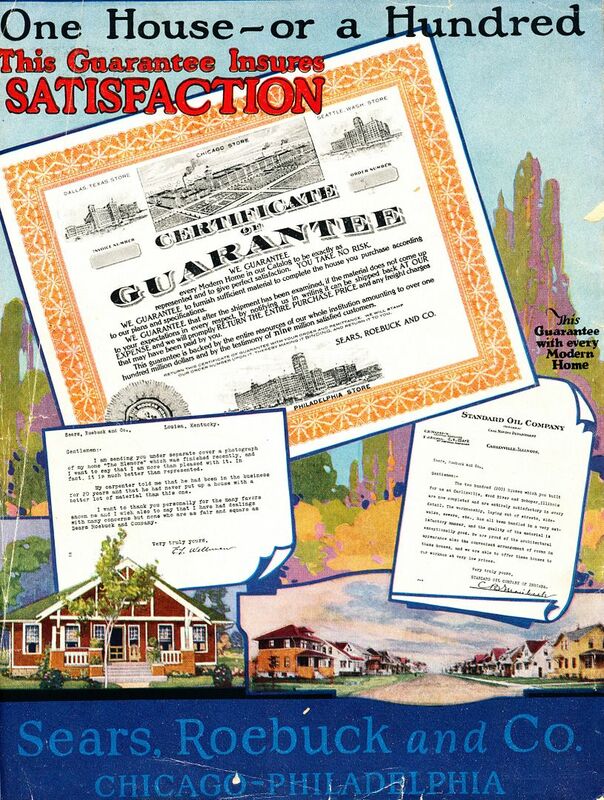 About 1918, Standard Oil purchased 192 kit homes from Sears & Roebuck. 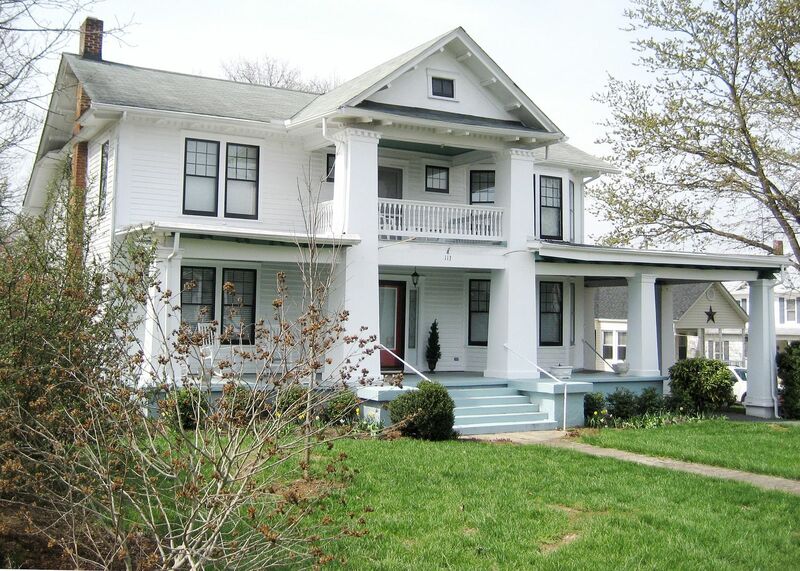 Carlinville ended up with 156 of these homes (offered in eight models). 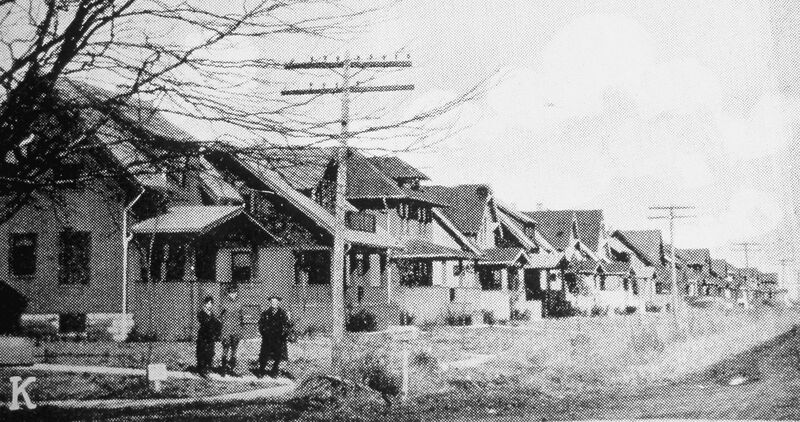 The 12-block area where these homes were built (in an old wheat field) came to be known as Standard Addition. 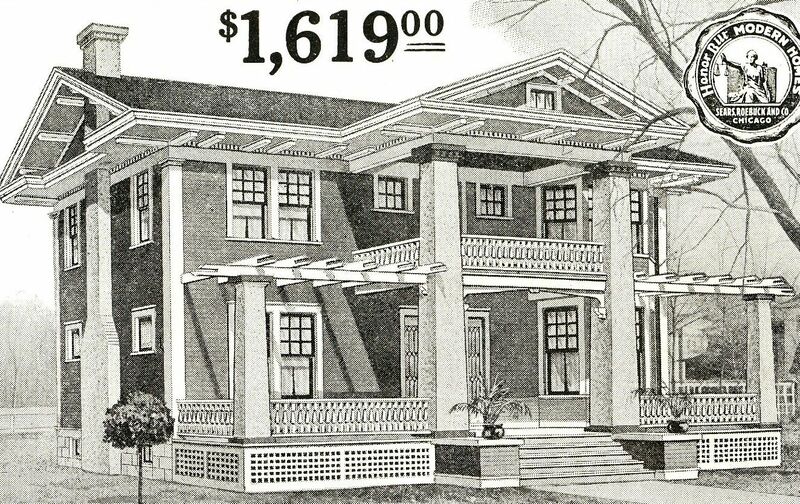 Sears proudly touted this sale to Standard Oil as "the largest order ever placed," and pictures of Carlinville appeared in the front pages of the Modern Homes catalog for many years. This letter (shown above) appeared on the back page of the catalog until 1929. 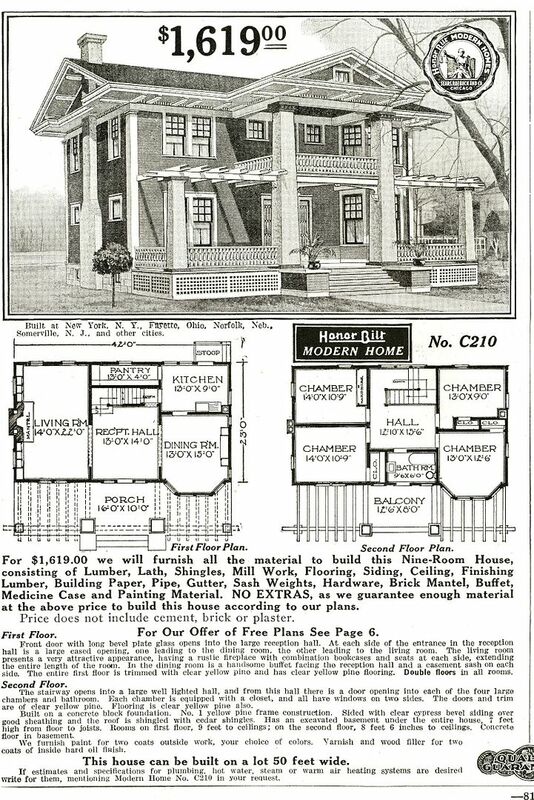 Standard Addition's homes - some of which were not wholly finished - appeared in the 1919 and 1920 Sears Modern Homes catalog. Of the 192 houses sold to Standard Oil, 156 ended up in Carlinville, 24 were sent to Wood River (where Standard Oil had a large refinery) and 12 ended up in Schoper, IL (site of a large coal mine). 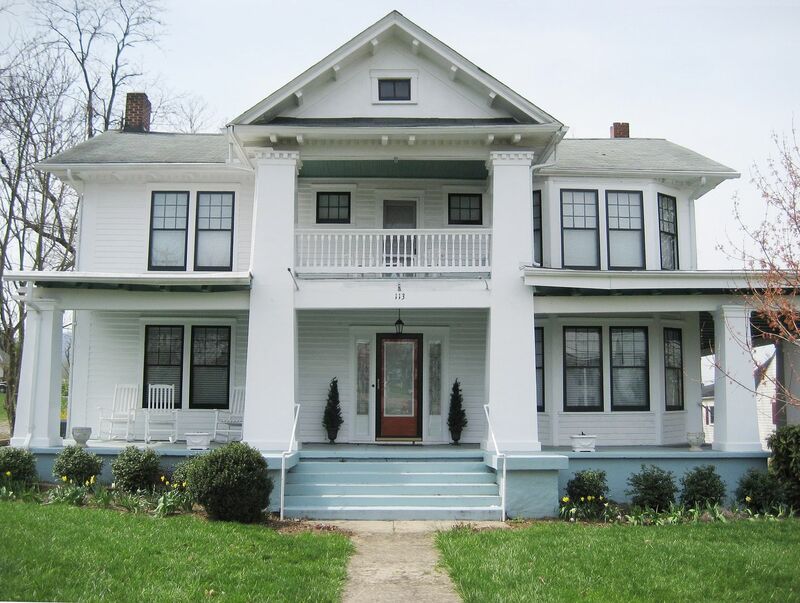 Pictured above is the Warrenton model (left) and the Whitehall (right). 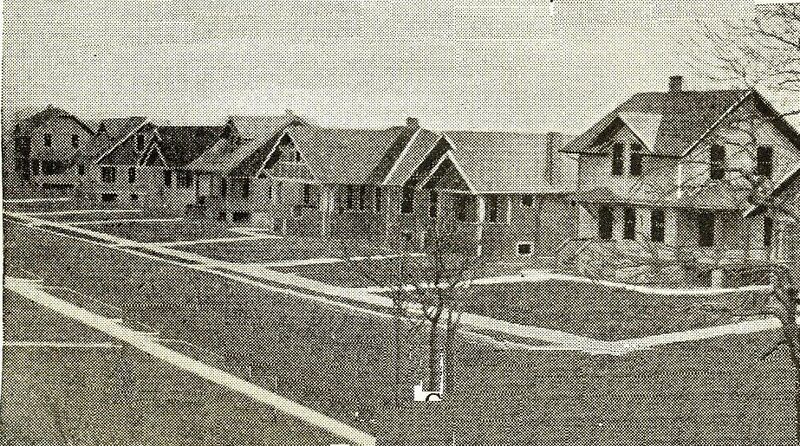 In 1921, images of the completed neighborhood appeared in the Sears Modern Homes catalog. 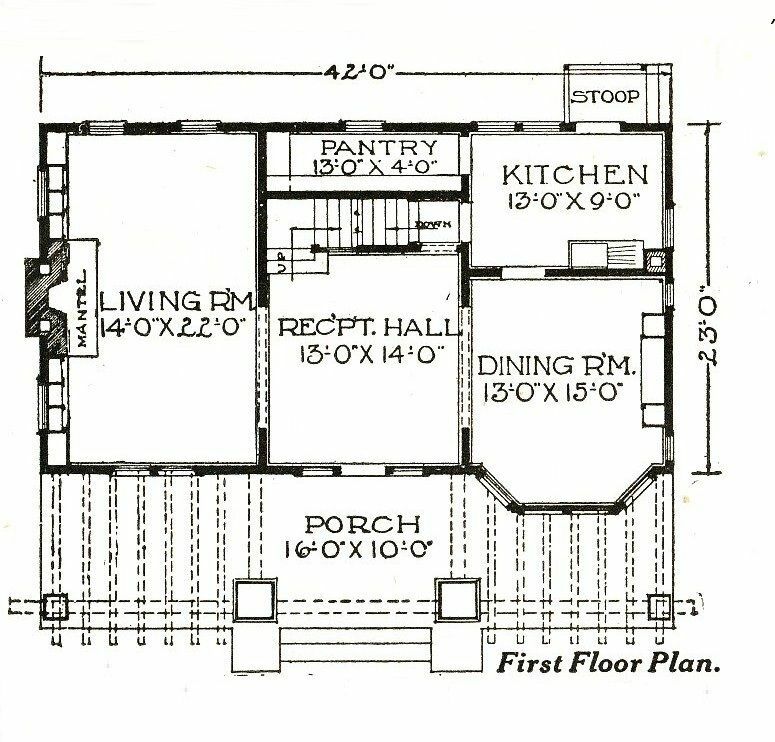 Close-up of the "birdseye view" from the 1921 catalog. From left to right is the Gladstone, Roseberry, Warrenton, and Whitehall. And look at that darling little building behind the Whitehall. Is it still there? 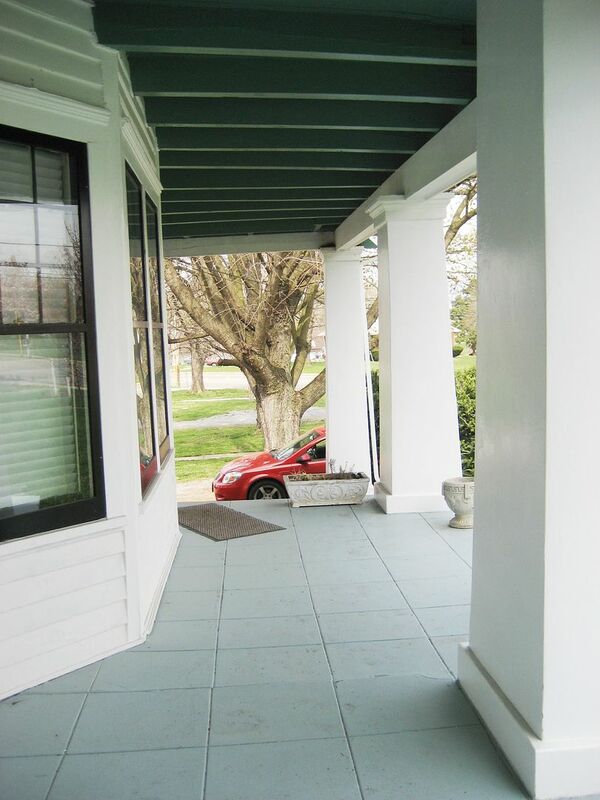 These homes were occasionally featured in "The Stanolind Record," an employee newsletter put out by Standard Oil. This image appeared with the caption, "Carlinville is coming out of the mud," which simply meant that streets would soon be laid, replacing the muddy roads. And all the photos above bring me to the point of this blog. Standard Addition - this unique, historic and one-of-a-kind community - is at great risk. 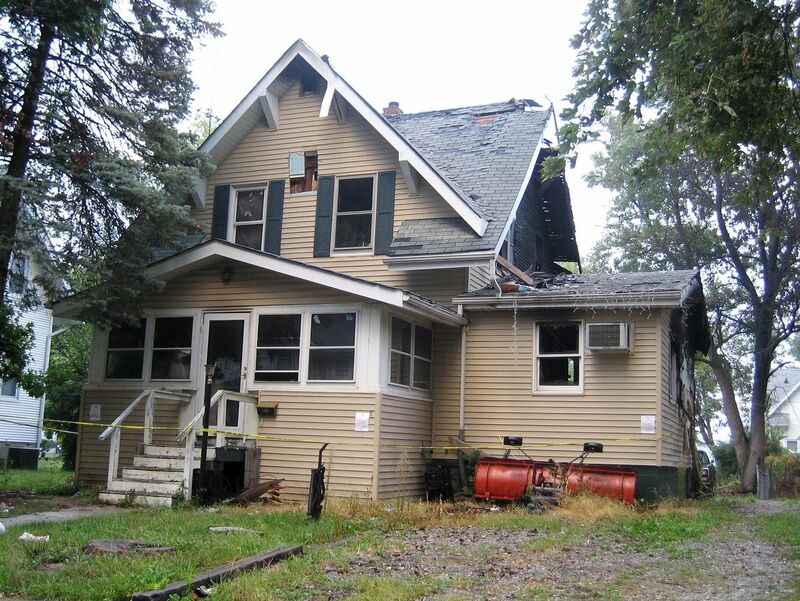 This "Roseberry" on Johnson Street caught fire in early 2013 and has not been razed yet. Derelict houses (such as this) contribute heavily to blight, and once blight takes root in a neighborhood, reversal can take decades. 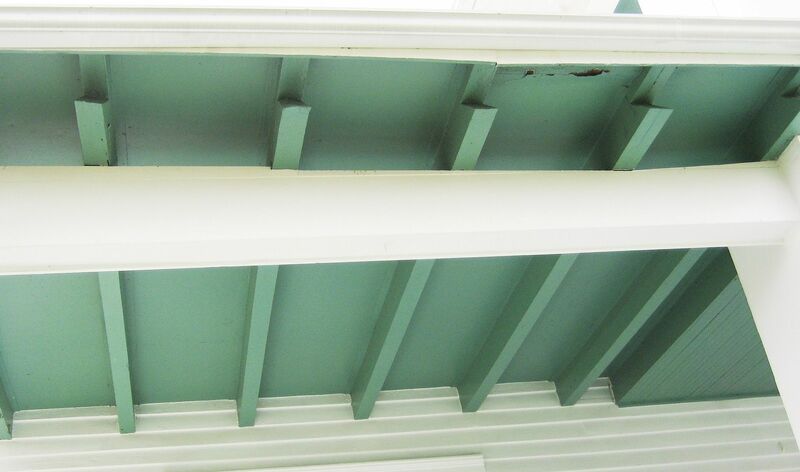 At best, this house poses a threat to public health and safety. At worst, it's an anchor that's dragging this historic neighborhood further into the muck. Would you want to live next door to this? How many months before this house gets torn down? 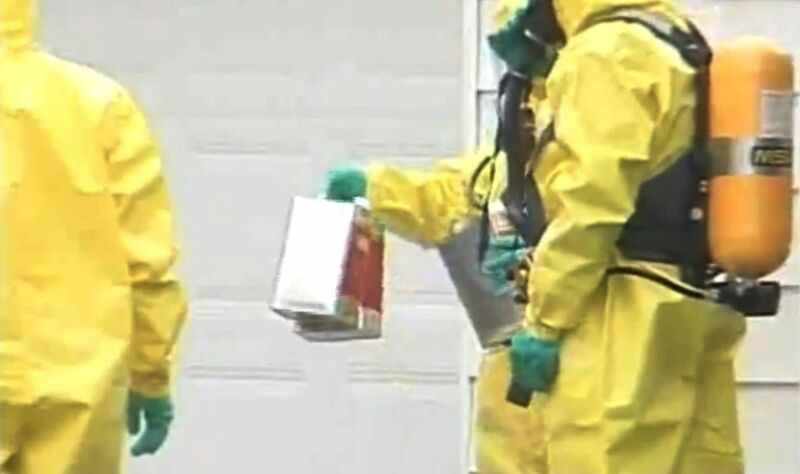 Last month, a suspected meth lab was discovered in the 1000-block of Johnson Street, in the heart of Standard Addition. Once a house is used for "cooking" meth, making it suitable again for habitation can be expensive. And there's also the problem of insensitive remodeling. And it is quite a problem. 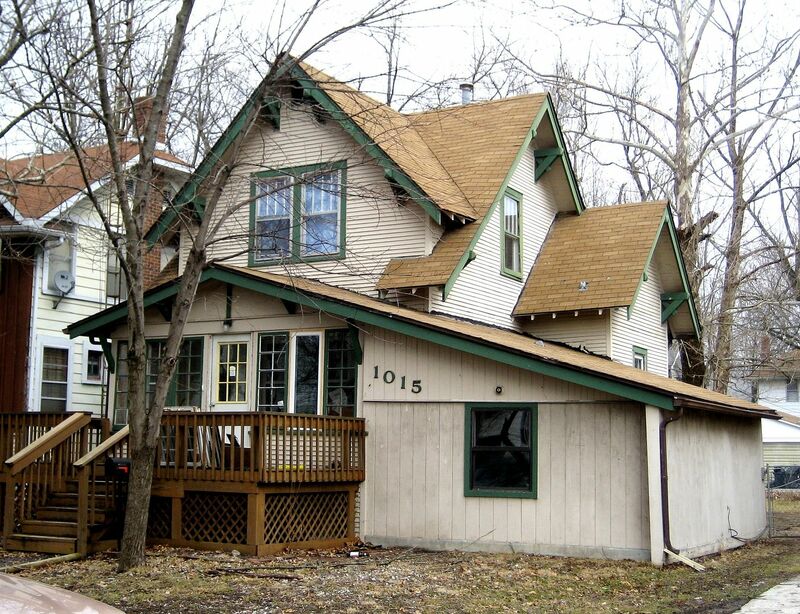 As built, these homes were very small (less than 1,100 square feet) but there are ways to increase square footage without diminishing the historicity of these unique homes. At the very least, there should be billboards in St. Louis, Alton (by the casino), Edwardsville and other “hot spots” inviting people to come see this fun collection of kit homes. There should be a website, self-guided driving brochures, maps, etc, promoting the area. In my 14 years of experience in this niche field of America’s architectural history, I’ve never come across another collection of Sears kit homes quite like Standard Addition. One week ago today, I drove through Standard Addition, admiring the pretty houses and dismayed by the blighted ones, and I glimpsed, more now than ever, something must be done to preserve and protect this neighborhood. To learn more about the eight models in Standard Addition, click here. To learn more about the building of Standard Addition (and the female supervisor of the project), click here. In 2003, CBS Sunday Morning News came to Standard Addition. To read about Illinois’ own ghost town (Schoper, IL), click right here. The Houses That Sears Built came out at just about the same time that my long-term marriage had a surprise ending. Doing a little back of the envelope ciphering, I figured I had enough money to last for about 60 days, and then I’d be flat busted broke. And I’d only make it to 60 days if I stopped buying groceries and lived very simply. If my book wasn’t supporting me by then, I’d have to do something I’d never done before: Get a real job. The very idea scared me half out of my wits. I did a lot of praying and a lot of scrambling. And I ate a lot of meals at friends’ houses. Six weeks after the book hit the streets, I had a call from a reporter at the New York Times. They were doing a feature story on Sears Homes and they wanted to interview me. The story ran on the front page of the Real Estate section. Next came a phone call from a producer who was putting together a new history show for PBS. He’d seen the piece in the New York Times and wanted to know if I could appear on one of their first episodes. Next I heard from CBS. They wanted to do a piece on the Sears Homes in Carlinville. We arranged a date and met at the town square. 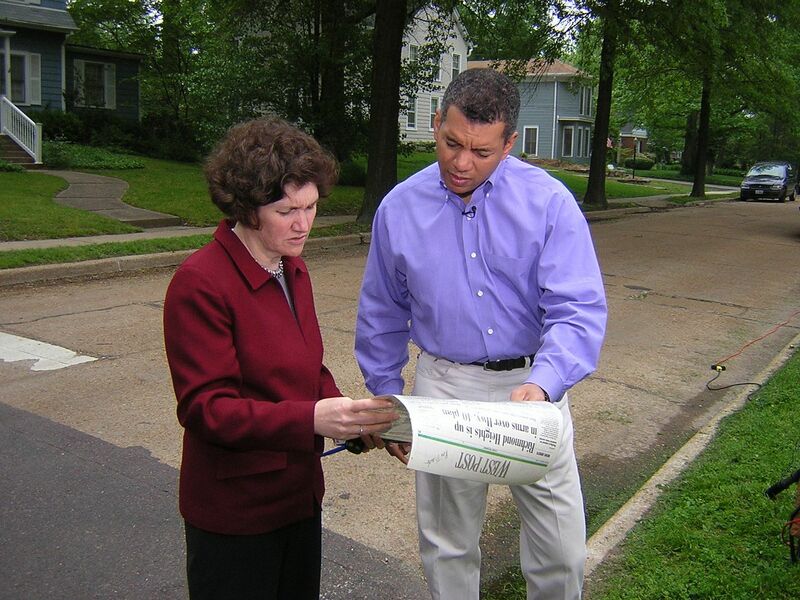 Russ Mitchell was the reporter, and he’d been raised in nearby St. Louis, so this was a great assignment for him. 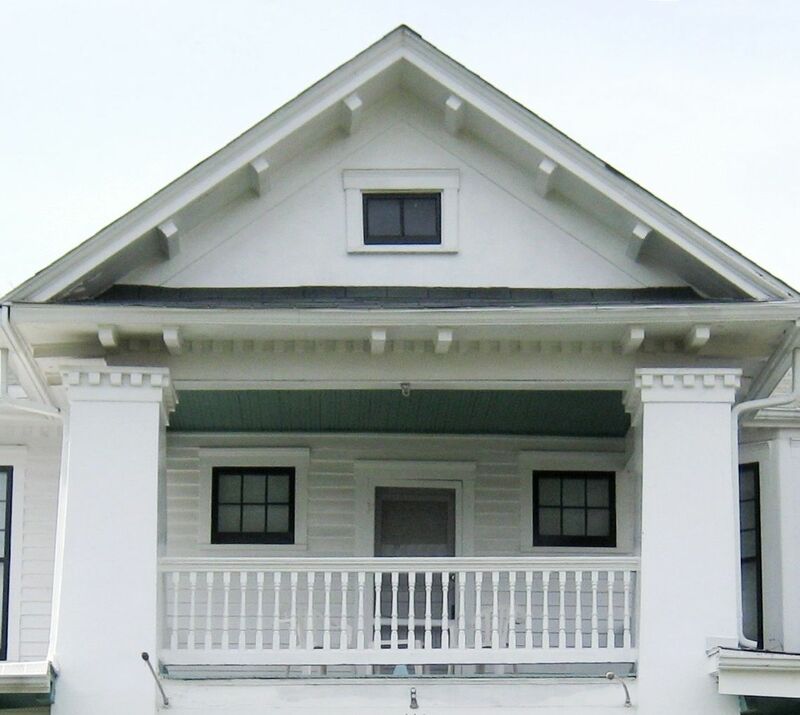 We tooled around the town and I talked about the Sears Homes of Carlinville, explaining that this was not the largest collection of Sears Homes (Elgin has that honor), but it was the largest contiguous collection, with 152 Sears Homes in a 12-block area. As we drove along, I rattled off the names of the eight models of Sears Homes featured in Carlinville. It was a wonderful day, and as a result of that show, I was then invited to appear on A&E’s Biography. 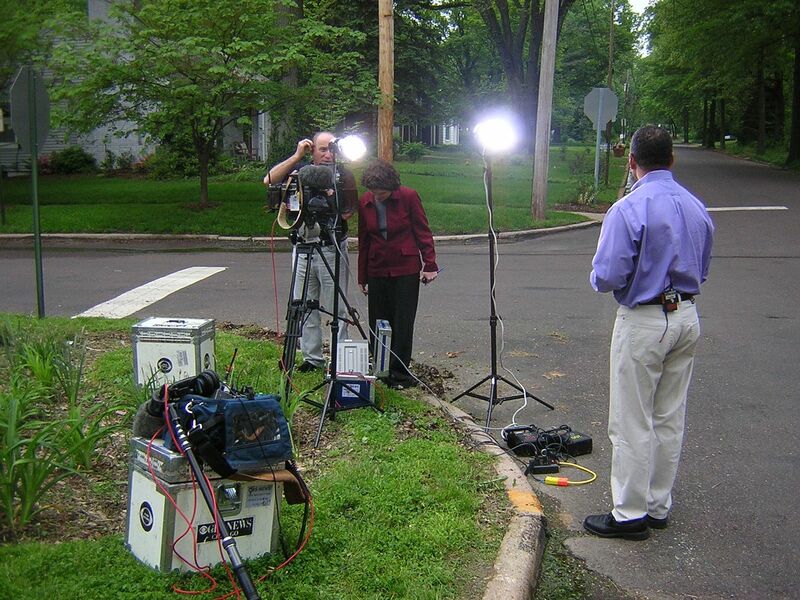 It was nine years ago (almost to the day), that we filmed that show for CBS Sunday Morning News. I went on to write five more books, and turns out, I made it past those first 60 days, with a little money left over! 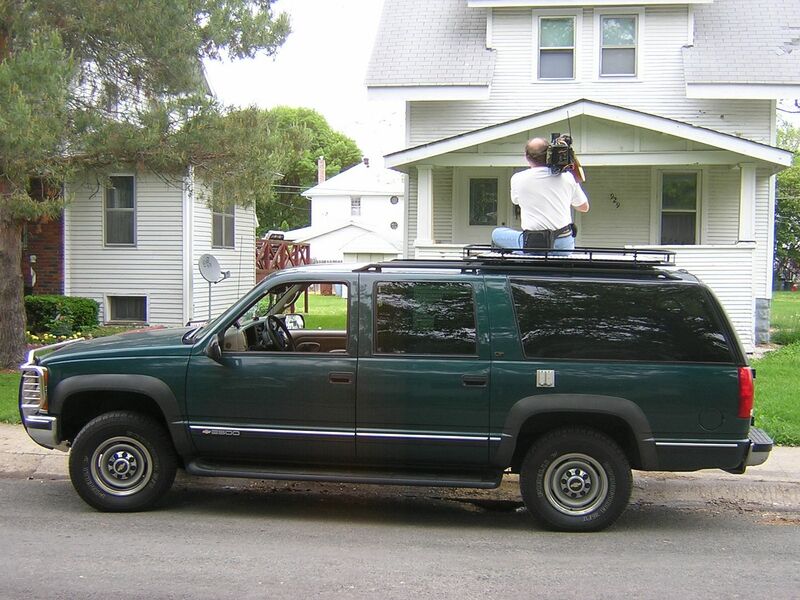 CBS film crew starts shooting the Sears Homes from the top of their specially modified Chevy Suburban. Wish I could remember this fellow's name. He was incredibly polite and a whole lot of fun. They also shot footage in St. Louis (Kirkwood), where there are several Sears Homes. Producer and Russ review some details for the next shot. 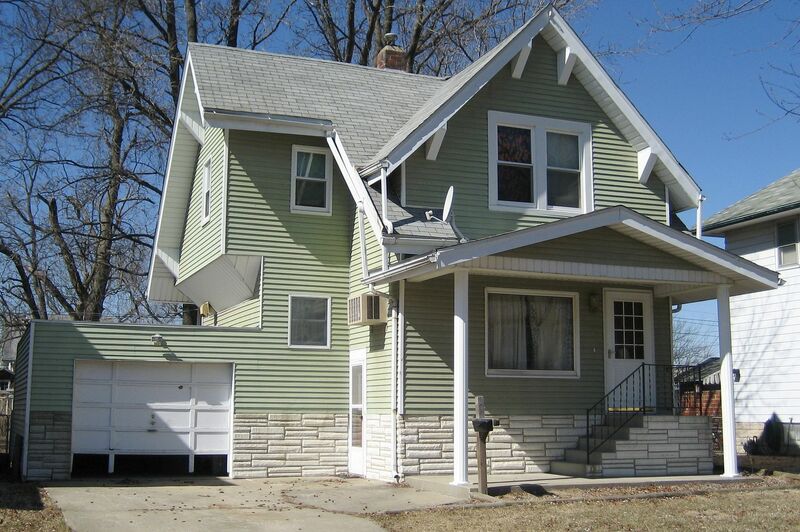 To learn more about Sears Homes in Carlinville, click here. 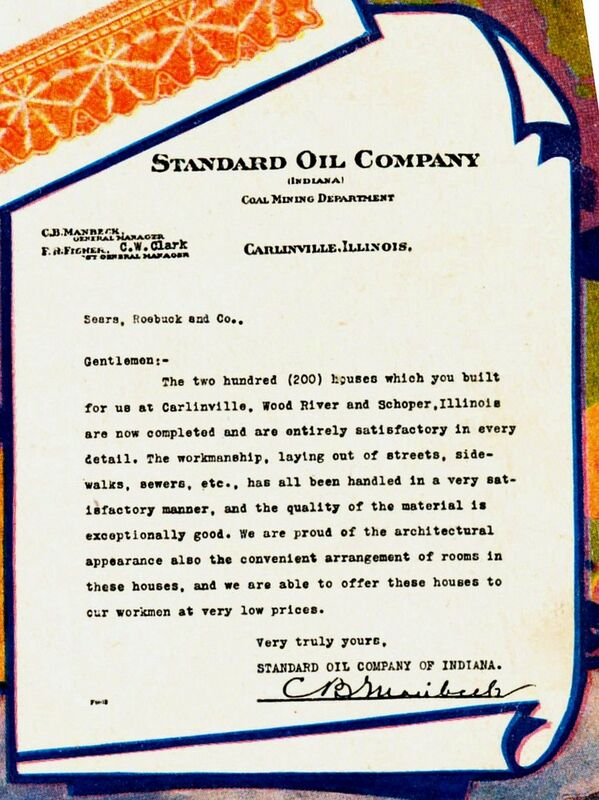 In 1918, Standard Oil of Indiana made mail-order history when they placed a $1 million order with Sears Roebuck & Company for 192 Honor-Bilt homes. It was purported to be the largest order in the history of the Sears Modern Homes department. 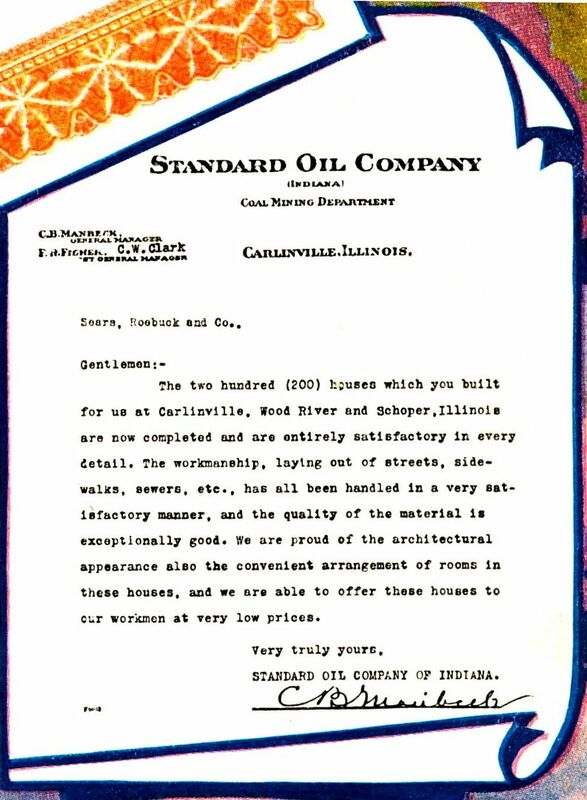 Standard Oil purchased the houses for their workers in Carlinville, Wood River and Schoper in Southwestern Illinois. Of those 192 houses, 156 went to Carlinville, 12 were built in Schoper and 24 were sent to Wood River. 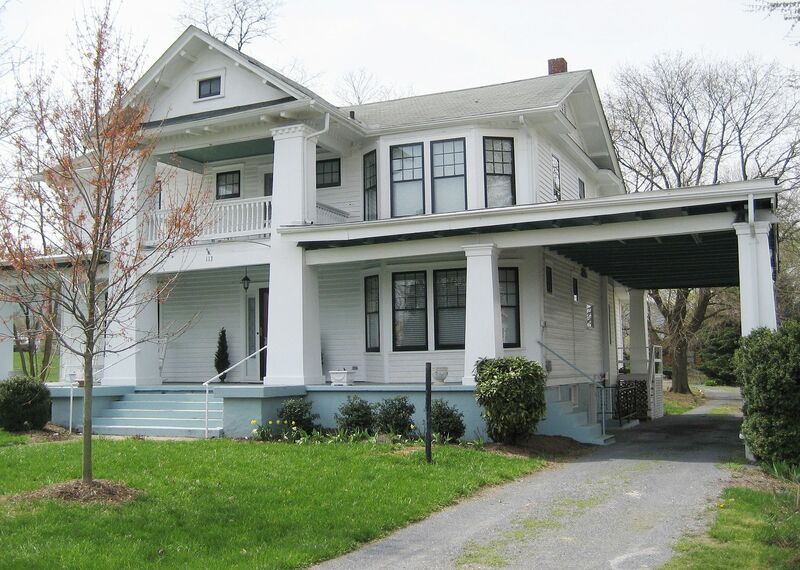 These houses were built for the coal miners and refinery workers employed by Standard Oil. 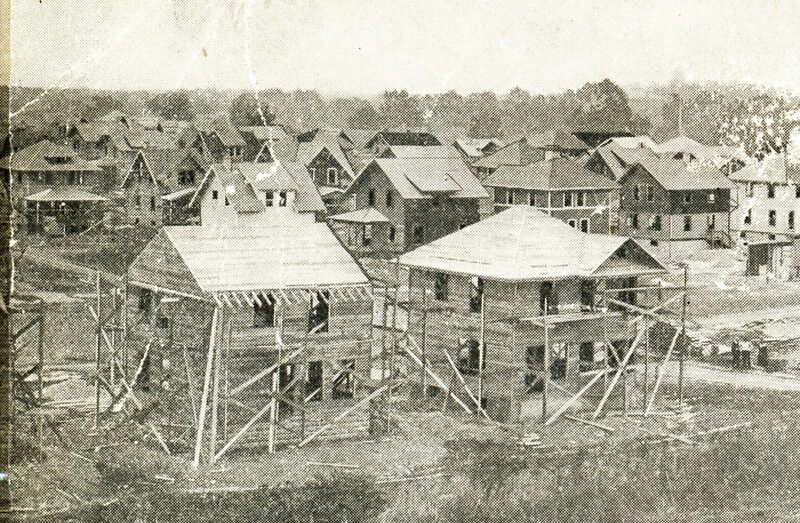 Thee best part of the story is, Standard Oil hired a woman to supervise the construction of these 192 houses. She was known as “The Lady on Horseback” and her name was Elizabeth Spaulding. According to an article which appeared in the 1967 Illinois State Journal, Ms. Spaulding would ride her horse from house to house, keeping a close eye on the workmen. She kept the construction workers on their toes. Men she’d hired in the early morning were sometimes fired by noon (from the article, “Dear Sirs; Please Send Me 156 Houses”). 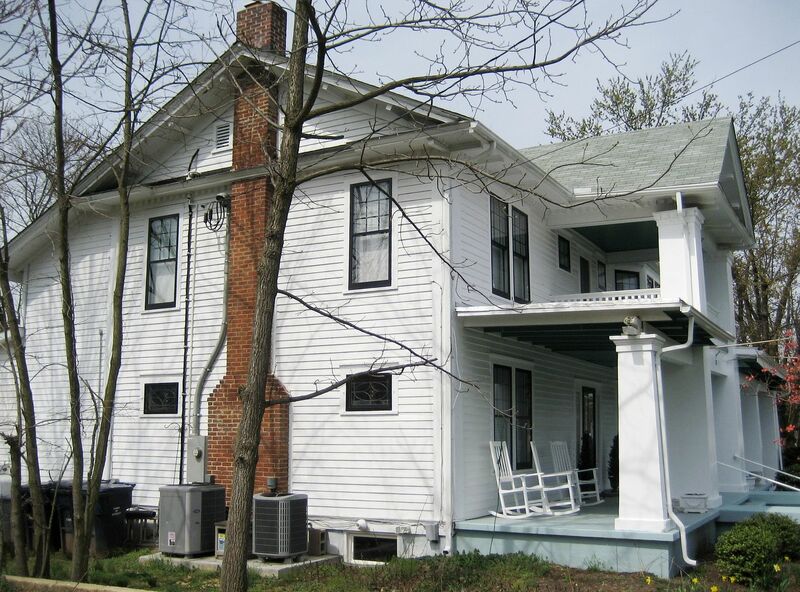 To learn more about the Sears Homes in Carlinville, click here. 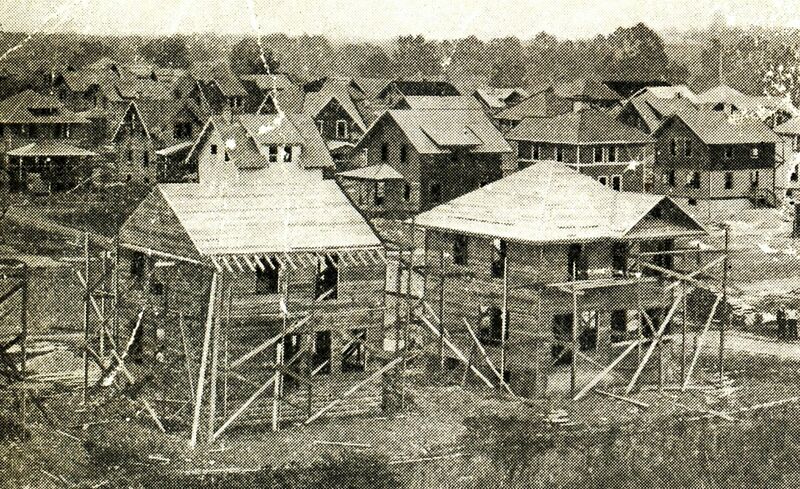 Photo of Carlinville's Standard Addition, showing houses in various stages of construction. Vintage photo of Sears Homes in Carlinville soon after construction was completed. Another vintage photo from Standard Addition, about 1920.